How To Plan A Wedding: Personalized Ceremony & Vow Ideas! Undeniably, one of the most (if not the most!) important parts of any wedding is the ceremony. But with wedding blogs, books and magazines mostly focusing on the pretty stuff (flowers! cakes! dresses!!) it is often the bit that leaves couples the most confused. So today I thought I would briefly cover a few of your options and help you to with some vow ideas if you plan to write your own. I’ve concentrated on English marriage laws in this post so be sure to check your own country’s requirements as they may vary. Unfortunately, English marriage laws are some of the strictest in the world. Here, you can only be legally married in an approved location and the ceremony must be performed by an authorised celebrant (usually, but not always, a minister of religion) or by an authorised registrar. So your dreams of a beautiful beach or backyard ceremony being performed by your best friend who bought his marriage license on the internet would not be legally binding. Sad face. But, you can still do it! You’ll just have to make sure you do the legal bit as well by popping to your local registry office to sign the papers. Most couples do this on the same day, but you could do it the day before or after and have another mini-celebration! Also, if you’re having a destination wedding make sure you check where you stand legally. Ceremonies that take place in another country are not always legally binding back home! If you’re planning to write your own wedding ceremony, you’ll need to check with your local government to see if there are any legal requirements that must be included. Other than that what else happens is completely up to you, especially if you’re having a non-religious ceremony. If you are getting married in a religious setting the rules about what you can and can’t do are often a bit stricter. 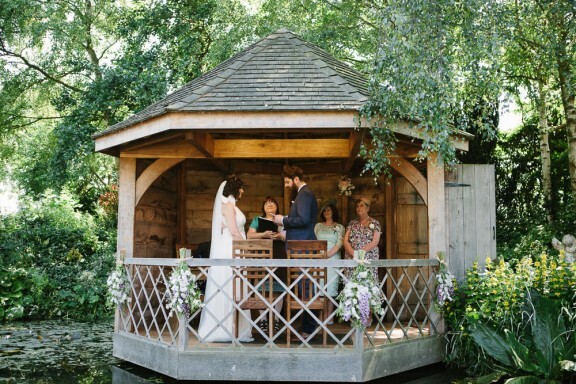 Just make sure you speak to your officiant if you want to do anything non-traditional. When you chat to your celebrant before the day, they will most likely go through what you can expect from the ceremony. They’ll also describe the various aspects and explain their significance to you. They may also suggest that you do a rehearsal the day before so you’re all prepped and there are no unexpected surprises! The vows that you say to each other during your ceremony are one of the most important parts of the day, so why do so many couples choose to use the standard, one-size-(does not)-fit-all ones? 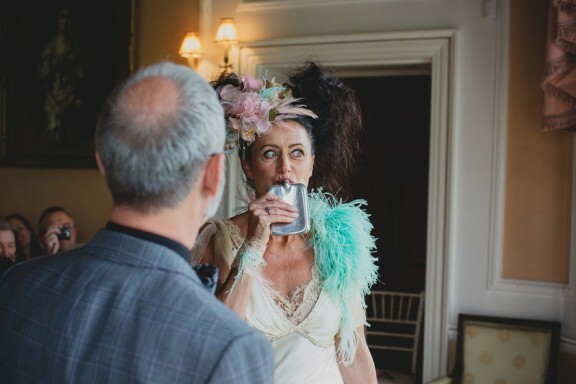 While it is a serious part of the proceedings, these are promises you’re making for life after all, it doesn’t mean you can’t have a bit of fun with them, and add your own personal twist! There is so much information around when it comes to vow-writing that it can all be a little daunting and overwhelming. But just remember that what really matters is the two of you. You are doing this for yourselves after all, so while listening to advice is a good thing, you really can do – and say – whatever you want! A nice starting point is to try and cover your past, present and future in what you say. This is the perfect opportunity to tell your partner how much they mean to you, and to declare it in front of all your nearest and dearest! Yes, it can be a little scary, but that’s what makes weddings so special don’t you think? ALL OF THE LOVE! You might want to collaborate on your vows. While keeping what you want to say a surprise from each other until the day is a nice idea, having a basic structure that you both follow is beneficial. You might not want one person being all serious and talking for ages and the other cracking jokes and being done in 30 seconds… although maybe you do! What defines you both? What are your mutual obsessions? A nice (although maybe a little cheesy for some) idea is to include references from these things in there. You could quote from favourite movies or make references to your mutual love of tattoos, dirt bikes, computers… whatever! If you’re struggling to even get started, try doing some free writing and see where that leads you. Remember, no-one ever has to read it! Think about your fiancé and start writing down the words or phrases that come to mind. From those you’ll then have the bare bones of what you want to say. How did you meet and what did you think of them? When did you know they were ‘the one’? What is your favourite memory from your relationship so far? What would you like to promise them? 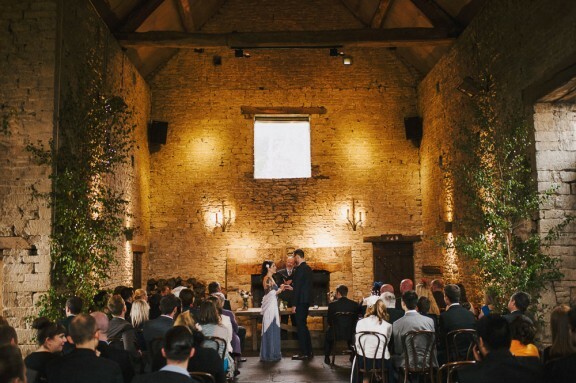 The ceremony and vows are such a vital part of the wedding so try not to leave them to the last minute. In a perfect world we’d all start thinking about this part before anything else (yeah right, there are DRESSES to look at!) but whenever you do it, just remember that you must ultimatly do what feel right for you and your relationship. I’d love to hear from you guys on this one now. Are you personalising your ceremony or vows? If so how? 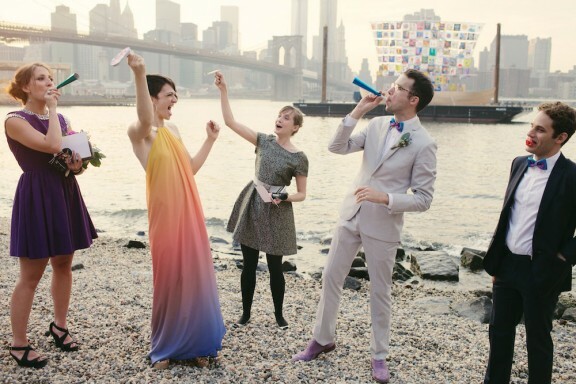 This is part ten of a ten part series on how to plan a wedding. If you missed the previous articles, be sure to check them out as well. Don’t fret, it’s not over yet! Next week I’m posting a little bonus for you – how to plan your wedding for as little money as possible… It’s sure to be a goodie!